IIT Madras continues to establish itself as a world-class research institution, increasingly with industry involvement. Sterlite Technologies Limited, a telecom infrastructure and solutions company, has entered into a collaborative partnership with IITM in ultra-high-speed broadband. The agreement signed in Aurangabad at Sterlite’s Centre of Excellence last week includes sponsorship of one Ph.D. scholar for a period of five years, and two M Tech/MS candidates for two years, which may be continued for a period of five years. Our alumni have been making their mark in global research for the past 6 decades, and have established leadership in many fields. Recently, out of the 47 members recognized this year by ACM (Association for Computing Machinery) for their contributions to computing, five are alumni from IIT Madras. The 2014 ACM Fellows hail from some of the world’s leading universities, corporations, and research labs, and have achieved advances in computing research and development that are driving innovation and sustaining economic development around the world. Parthasarathy Ranganathan (BTEE-94; Google Inc.) For contributions to the areas of energy efficiency and server architectures. 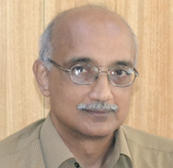 Srinivas Devadas (BTEE-85; Massachusetts Institute of Technology) For contributions to secure and energy-efficient hardware. 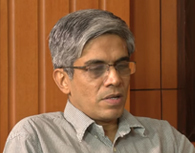 Ramakrishnan Srikant (BTCS-90; Google Inc.) For contributions to knowledge discovery and data mining. Aravind Srinivasan (BTCS-89; University of Maryland, College Park) For contributions to algorithms, probabilistic methods, and networks. S. Sudarshan (BTCS-87; IIT Bombay) For contributions to database education, query processing, query optimization and keyword queries. ACM will formally recognize the 2014 Fellows at its annual Awards Banquet in June in San Francisco. Another alumnus, and Distinguished Alumnus Awardee, Dr. Perumal Chellapandi (MTAM-83, Ph.D./AM-95), a scientist of the Department of Atomic Energy, has taken charge as Chairman and Managing Director of the Bharatiya Nabhikiya Vidyut Nigam Limited (BHAVINI), Kalpakkam. BHAVINI is responsible for the construction, commissioning, operation and maintenance of the 500-MWe Prototype Fast Breeder Reactor in Kalpakkam. The IITM flag flies higher than ever….